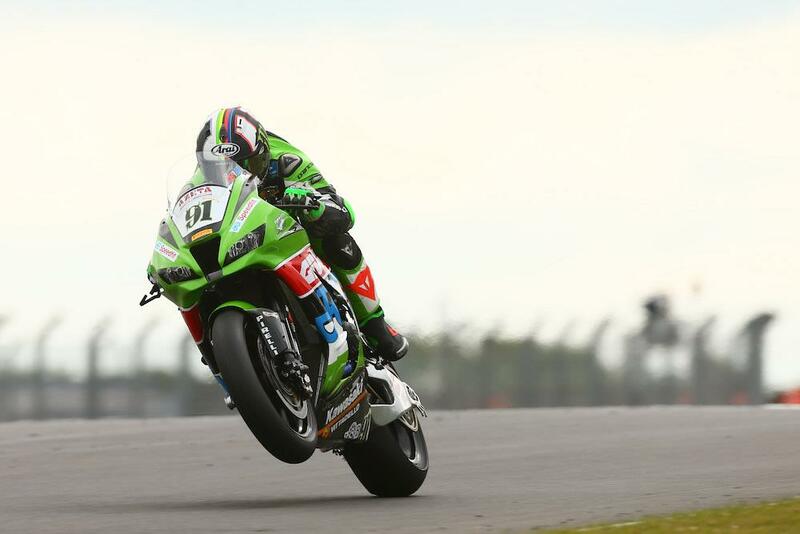 Leon Haslam reignited his world championship aspirations this weekend by making a welcome return to the World Superbike podium in a stunning ride for the Puccetti Kawasaki team. Making a one-off appearance for the Italian team with whom he tested at Portimao earlier this year, Haslam was on the pace throughout the weekend and despite a crash in qualifying leaving him eighth on the grid for race one, he’d fight through to sit in a strong third place before benefitting from the crashes of Chaz Davies and Jonathan Rea to eventually finish the race second. With the days of fast local wildcards mixing it with the big boys in WSB now long gone, Haslam’s performance created a buzz from the off. While the last official wildcard podium was only back in 2015, that was double World Champion and four-time GP champion Max Biaggi on a full factory Aprilia. A British wildcard hasn’t finished on the WSB rostrum since Haslam himself placed third in the second race at Portimao in 2008 when wildcarding with his HM Plant Honda BSB team. Haslam’s performance is sure to do no harm for his chances of securing a return to the World Superbike scene full-time in 2018, and MCN can confirm Manuel Puccetti is already pushing for the 33-year old’s signature.